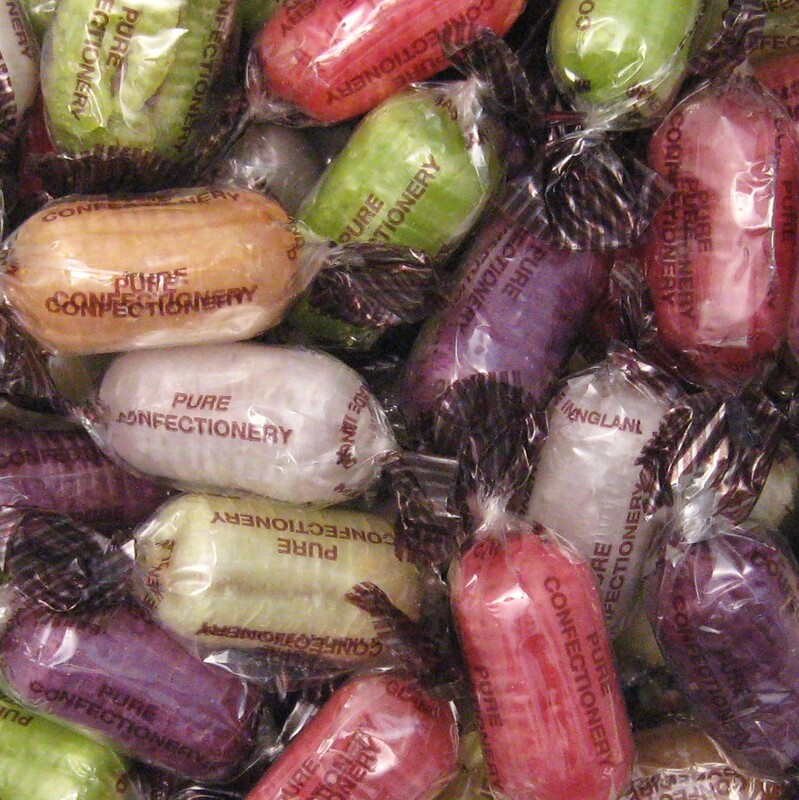 A variety of fruit flavoured individually wrapped hard boiled sweets with a milk chocolate centre. Ingredients; Sugar, Glucose syrup, chocolate flavouring, (sugar, vegetable oil, whey powder, cocoa powder, emulsifiers: E322, E476; Salt flavouring) Citric Acidvegetable oil flavouring. Colours: E102, E104, E110, E122, E129, E133, E142. Allergen Information contains milk. Warning, E102, E104, E110, E122 & E129 may have adverse effect on activity and attention in children.